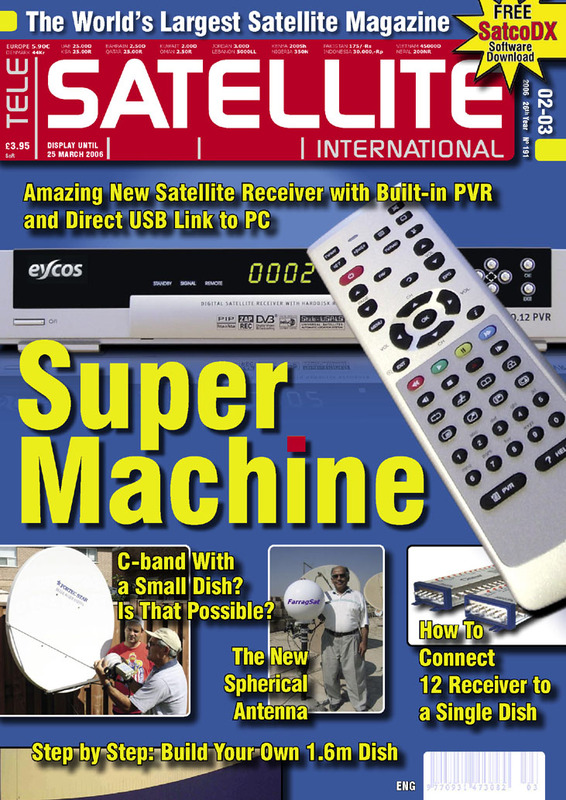 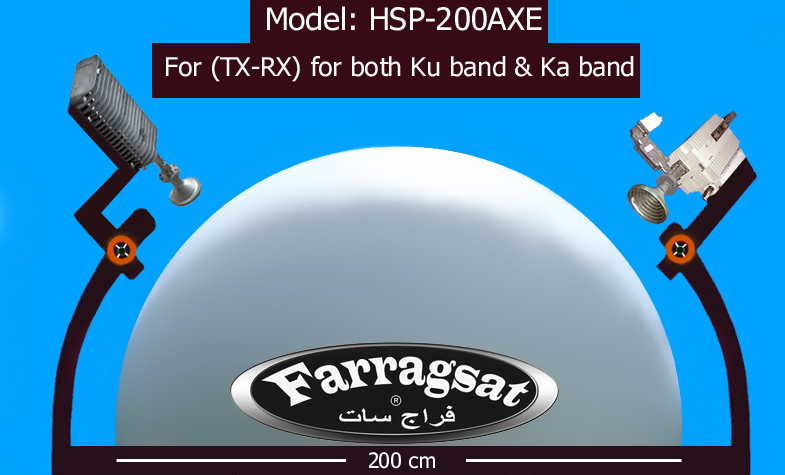 2- Internet Broadband Via Satellite ( TX- RX ) Ka band or Ku band. 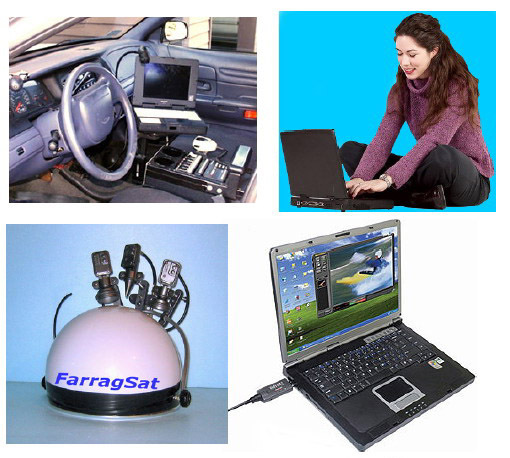 3- GBS communication uses. 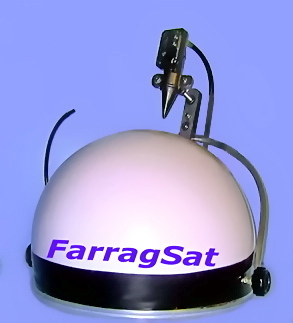 4- Ground Radar calibration. 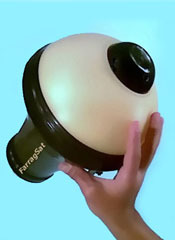 5- Spherical Lens is an essential part of the drone components. 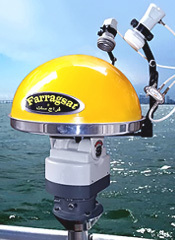 6- Maritime Aids as Sea beacons & Many other important uses. 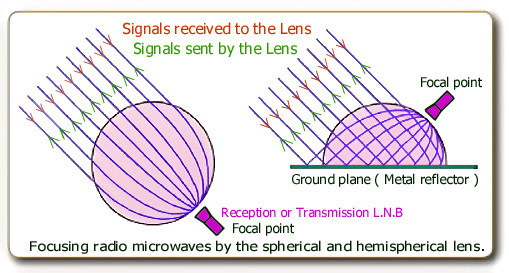 All could be used for direct to home Satellite Reception " D.T.H "
In refraction of microwaves for purposes of reception & transmission. 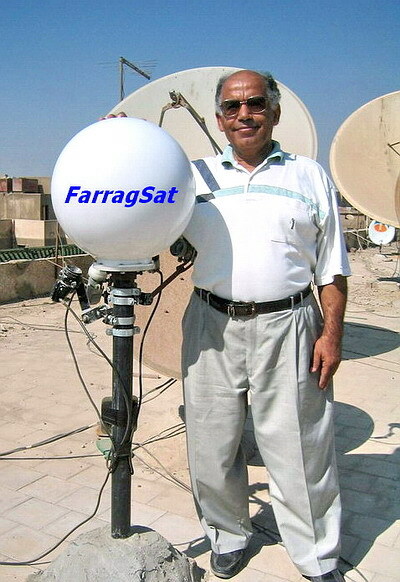 First reason is to test a small size of my Hemi-Spherical Lens Antennas in Ankara - Turkey for the first time to test one of my products outside of Egypt, the results of that test of the reception of all TV channels from Turk Sat 2 & Turk Sat 3,The results in Ankara were: More than wonderful and unexpected with high efficiency in reception. 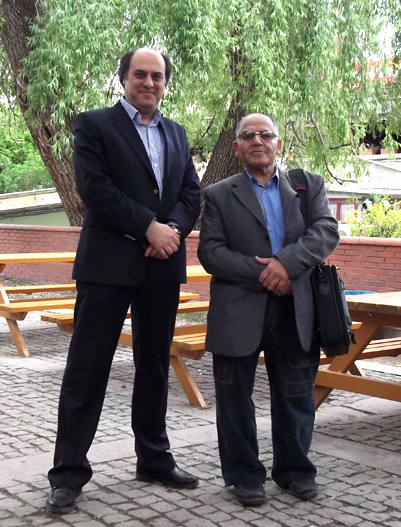 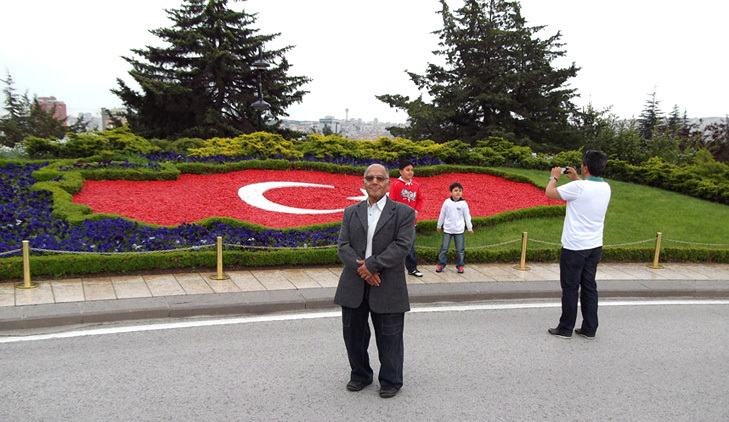 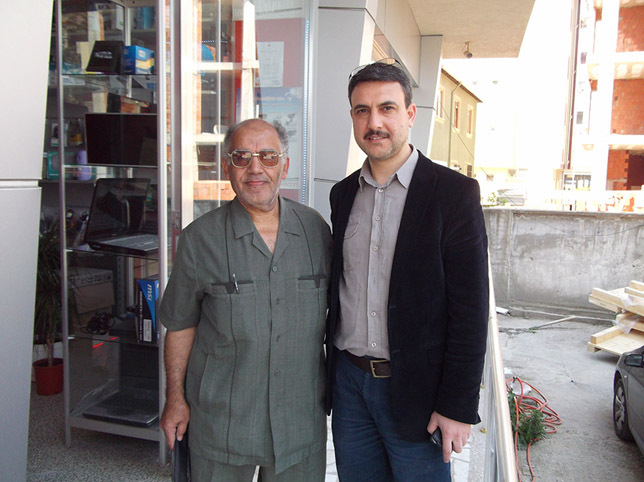 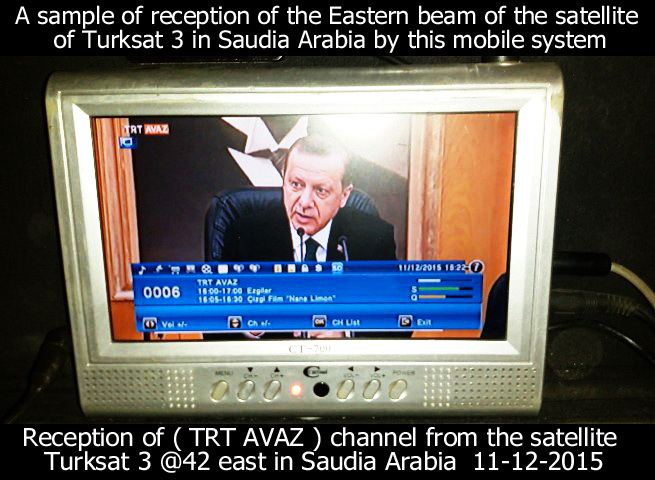 potentiality of establishing this project in Ankara - Turkey. 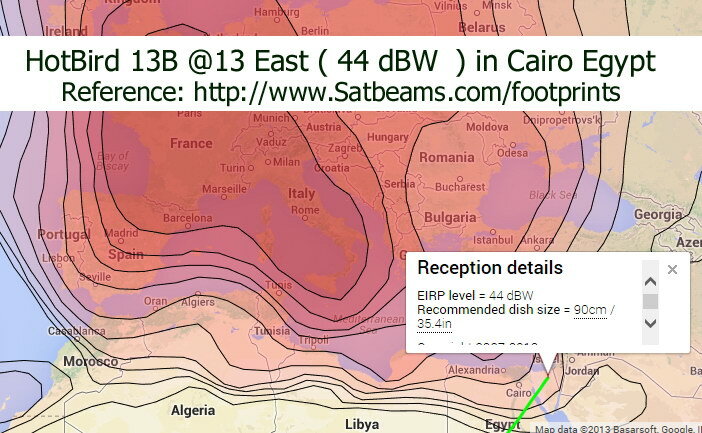 Were: More than wonderful and unexpected with very high efficiency in reception & Slightly better than Ankara last year. 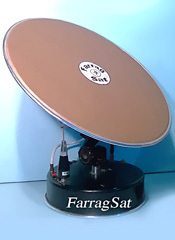 a true picture was taken during the initial tests for the performance of this lens to show how the signal strength and efficiency, while receiving of one of the frequencies of the satellite " Hellas sat2 @ 39E "
Special motor uses 12 volt. 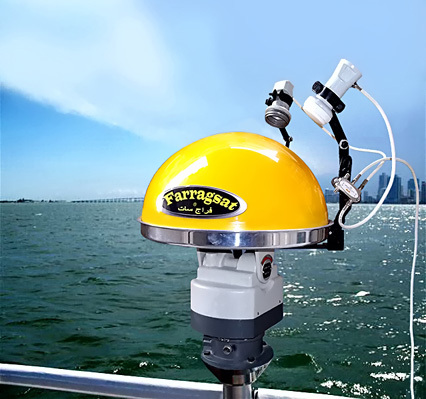 1- Azimuth direction, Horizontally - 360 Degree. 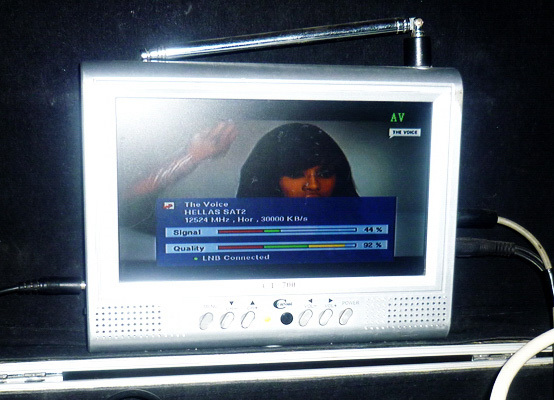 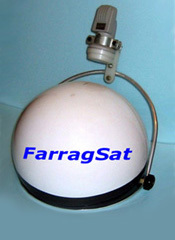 1 - Highly technical small receiver for free to air channels only . 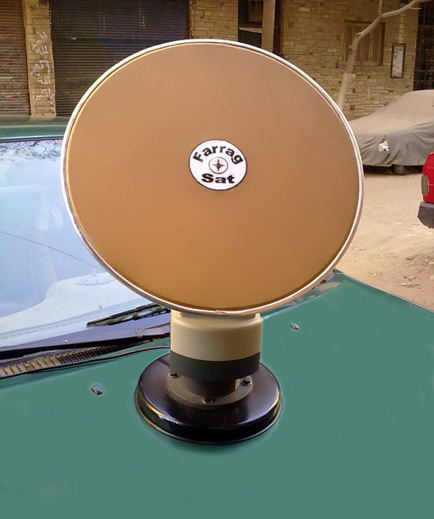 the base of the antenna to any television directly for a distance about 30 miter . 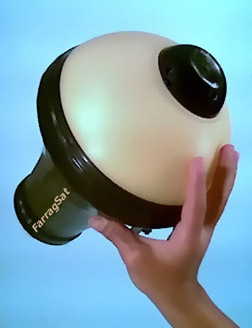 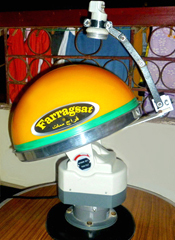 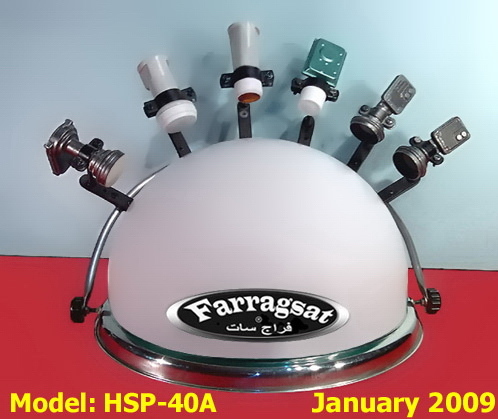 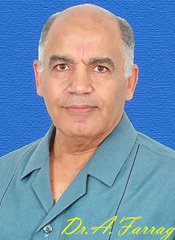 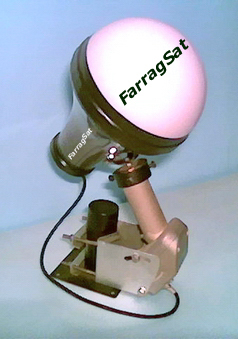 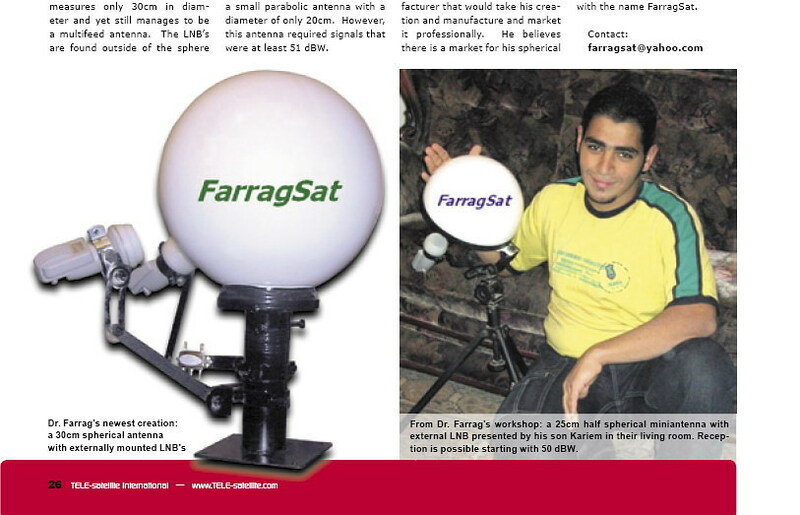 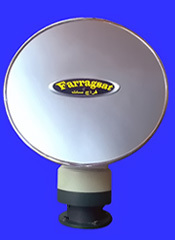 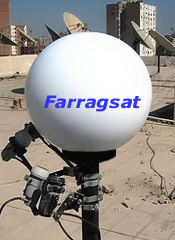 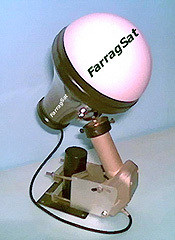 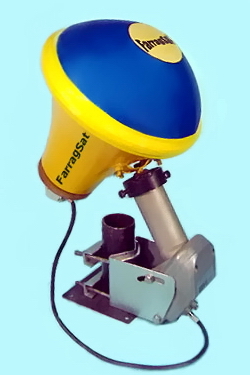 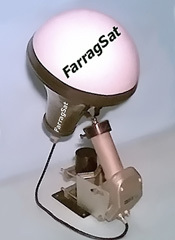 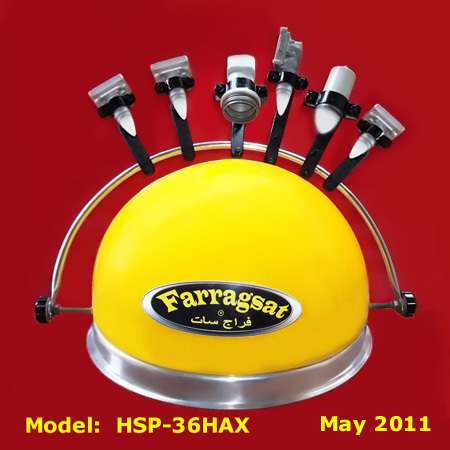 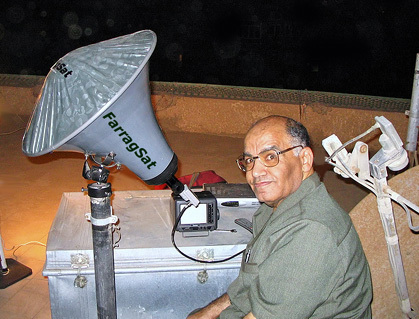 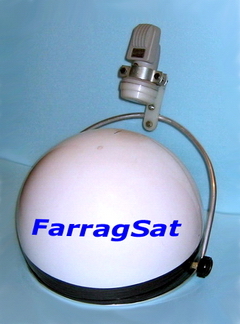 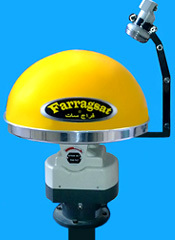 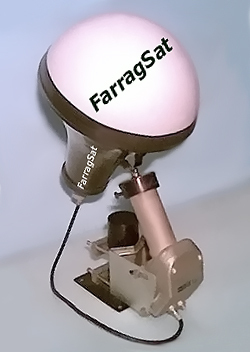 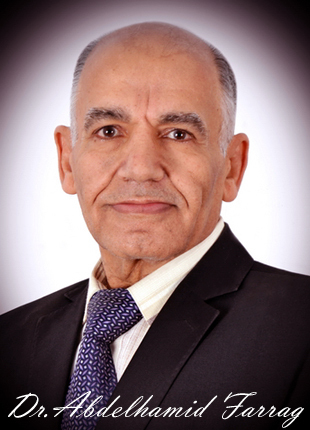 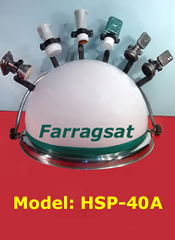 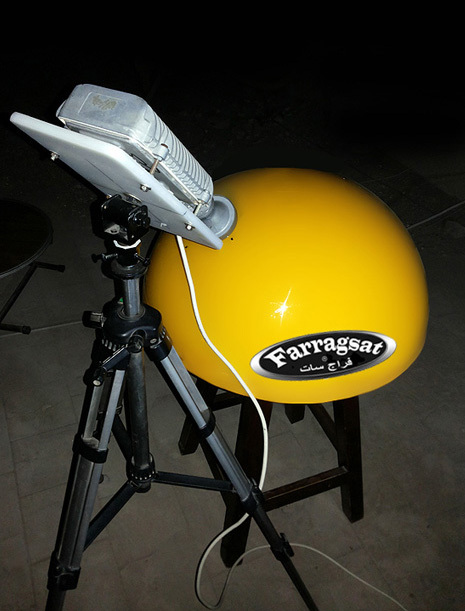 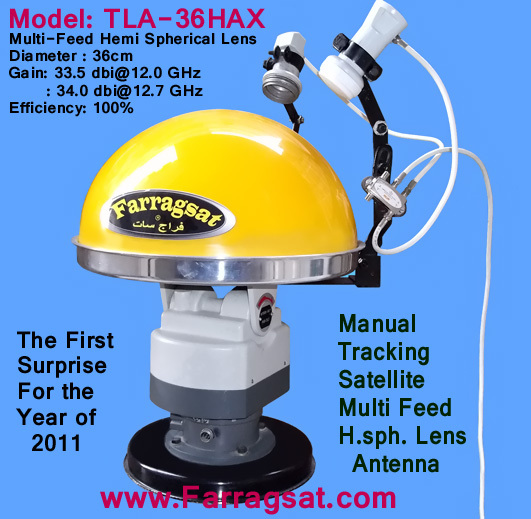 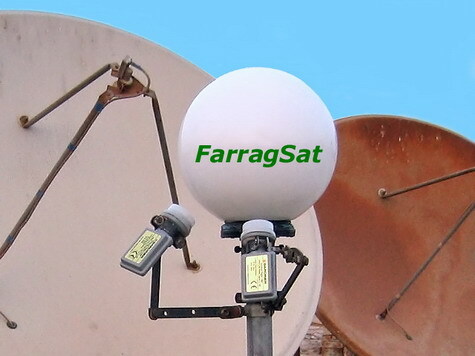 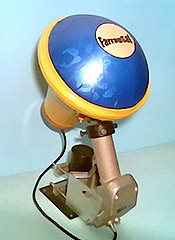 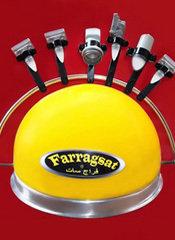 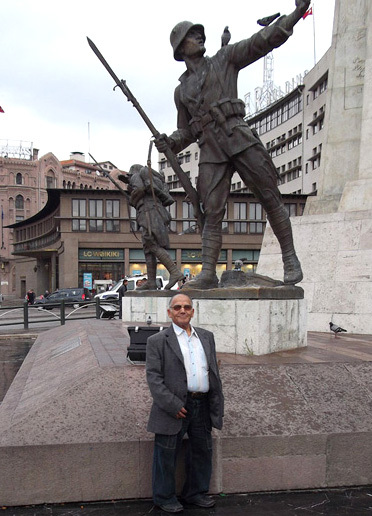 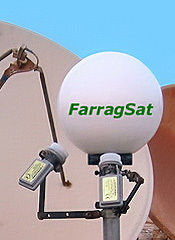 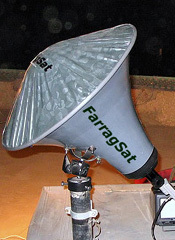 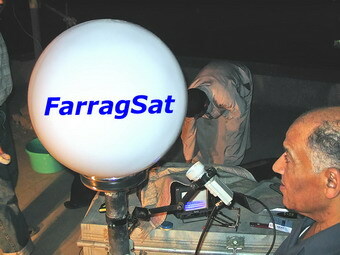 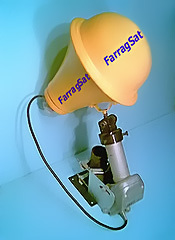 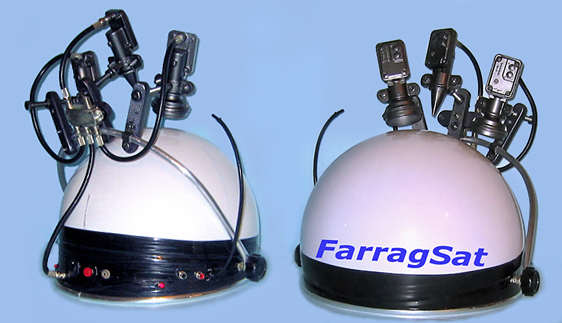 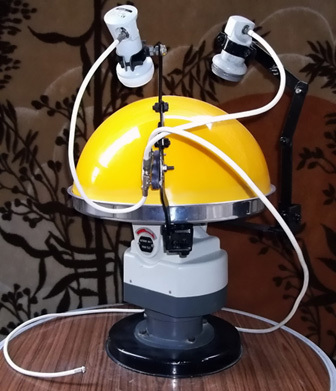 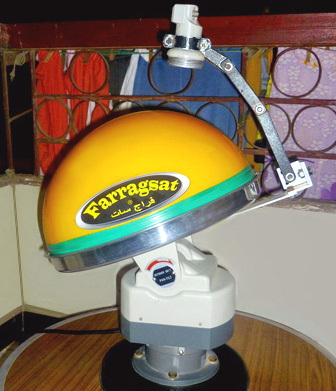 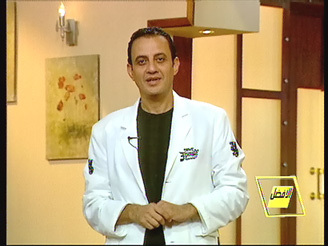 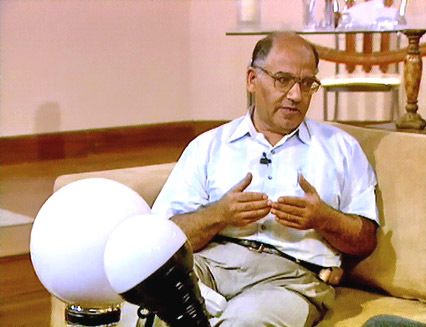 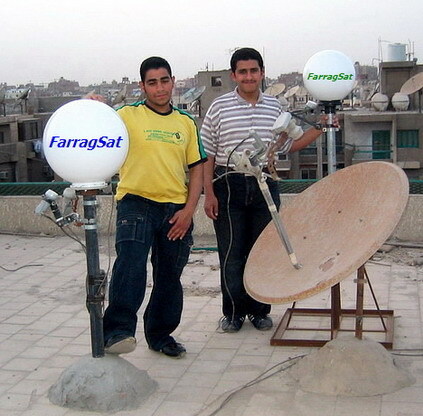 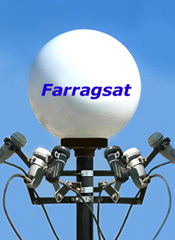 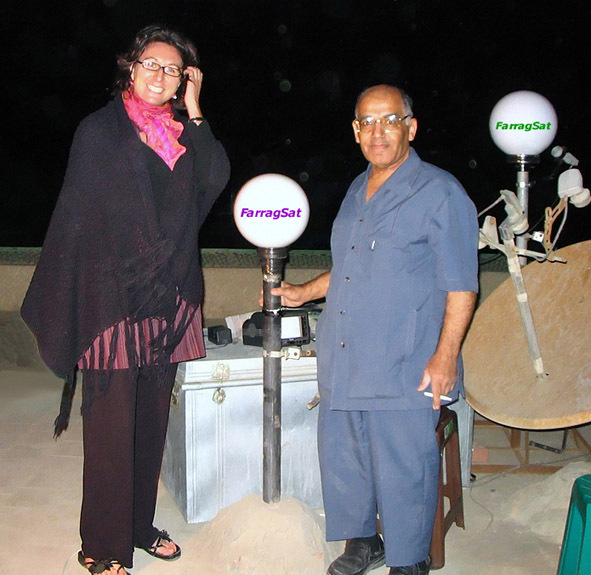 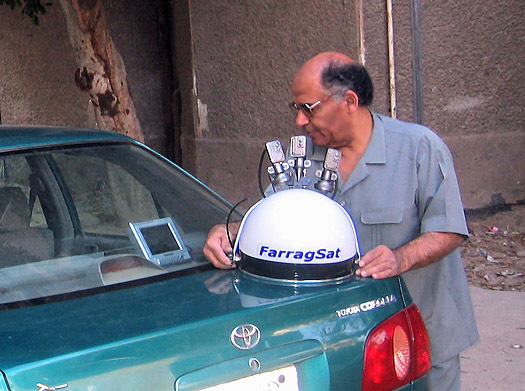 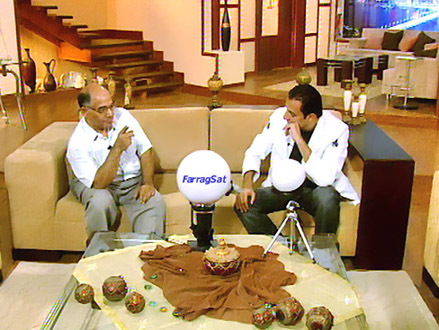 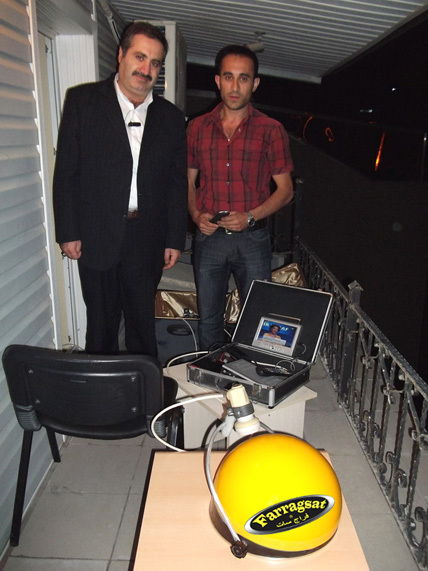 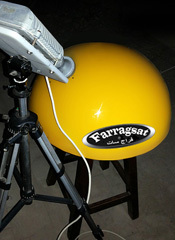 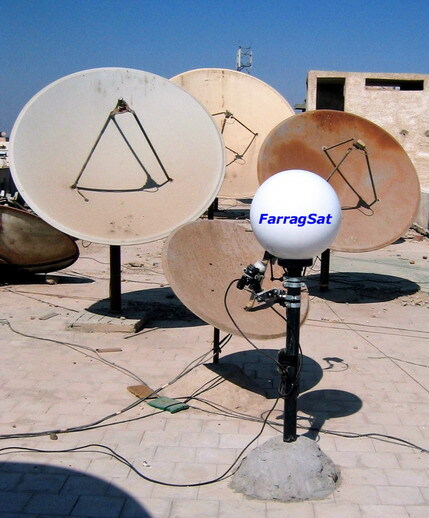 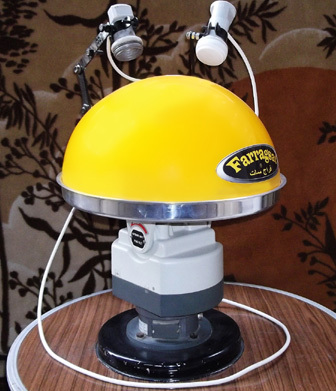 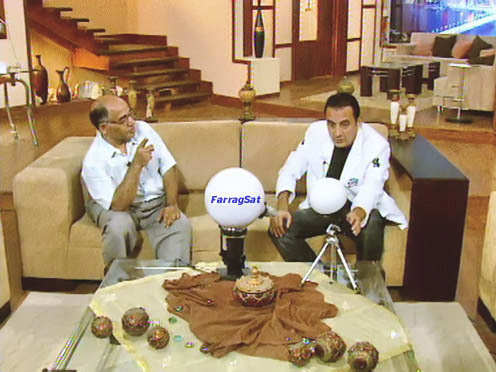 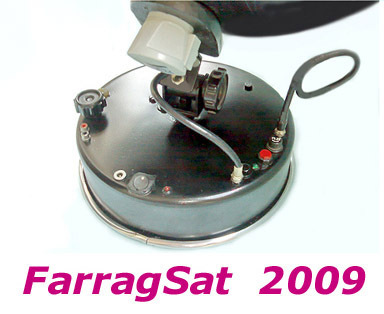 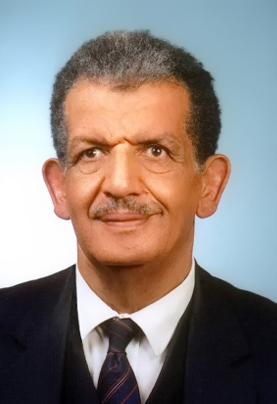 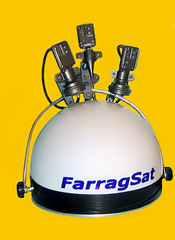 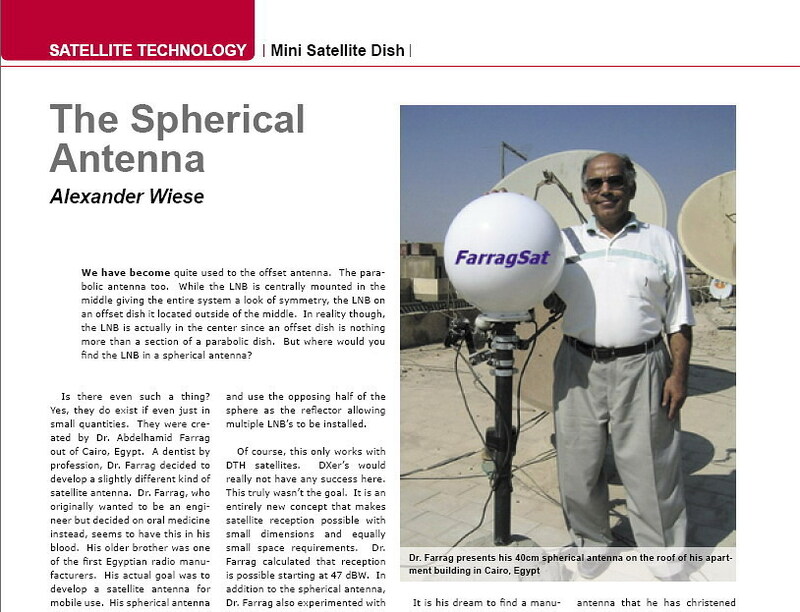 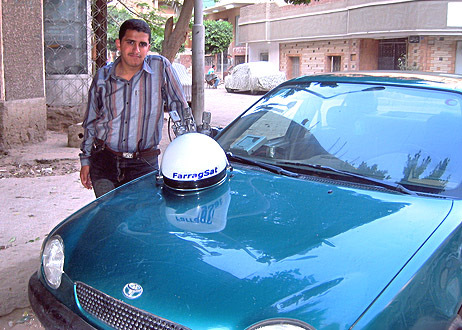 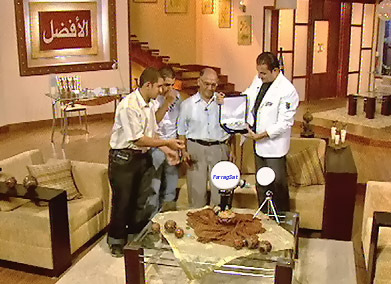 Dr. A.Farrag " FarragSat "
The surprise of the year of 2006 " The Helmet Antenna "
2 - Rechargeable battery to supply the system with energy for continuously three hours and half . 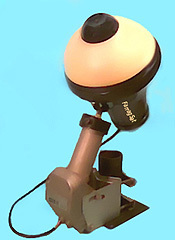 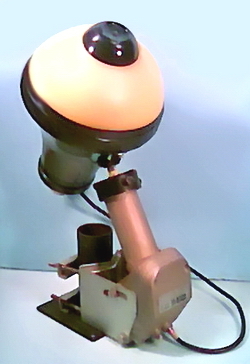 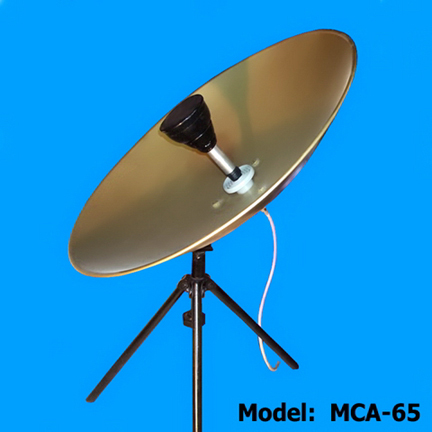 antenna to any television directly for a distance about 30 miter . 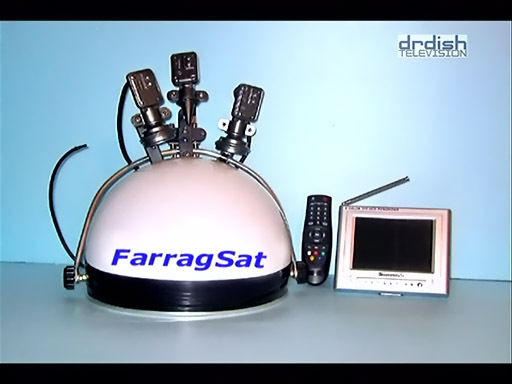 4 - Wireless remote control circuit to use the internal receiver from 10 miter distance or more . 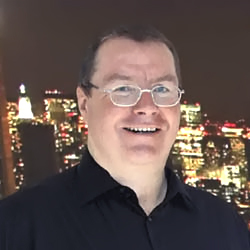 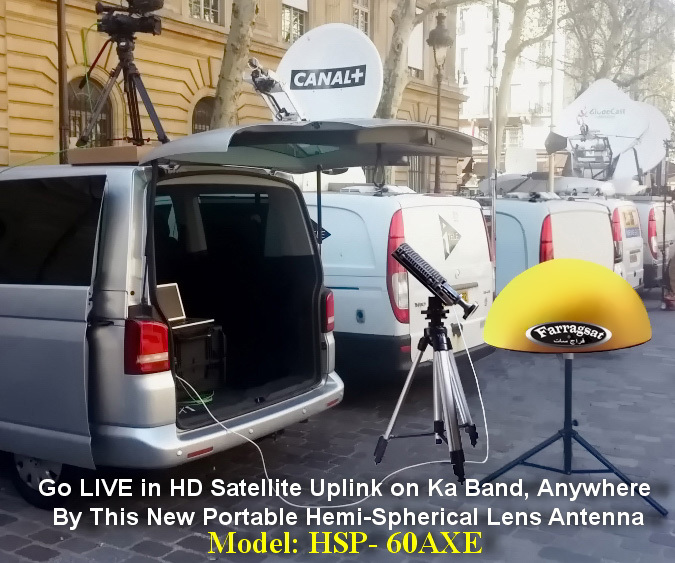 ( one direction ) in any place you are , just call & connect your Laptop to the internet via your mobile phone & download via satellite via your internet provider by the help of my integral portable satellite reception Antenna for cars when you are sitting inside your car or sitting beside it . 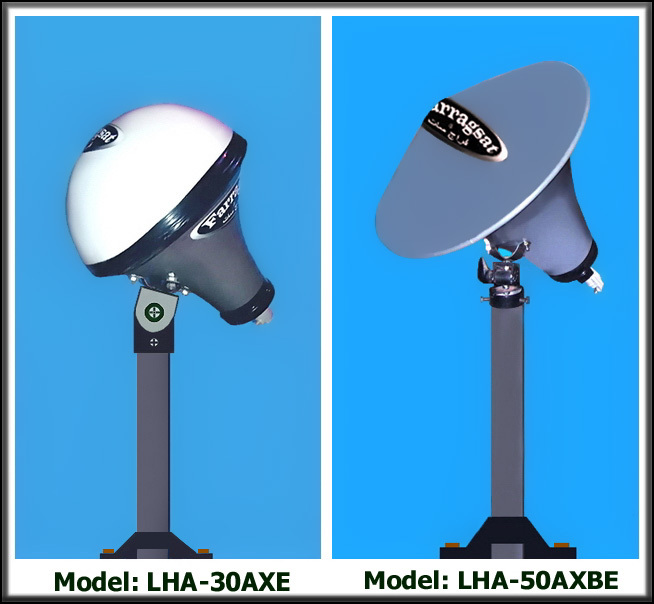 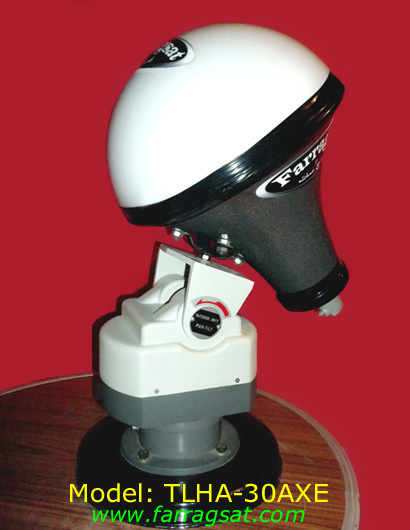 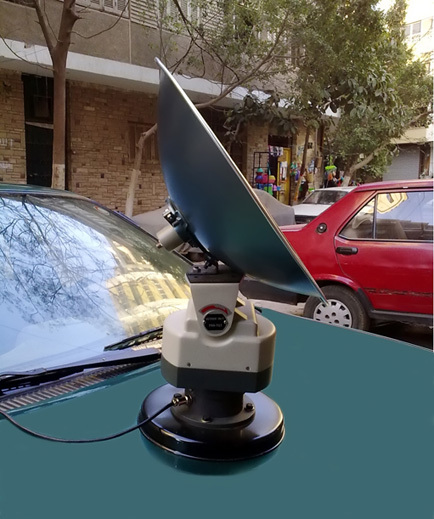 You can use the system as a satellite antenna only without the usage of the internal receiver , you can use any other External receiver & also install one LNB only and direct the system to any satellite you want with the same efficiency. 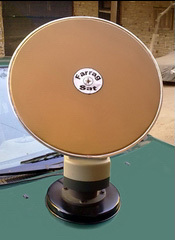 You can carry the integral Antenna easy in the bag of your car , any type , it takes a little size only. 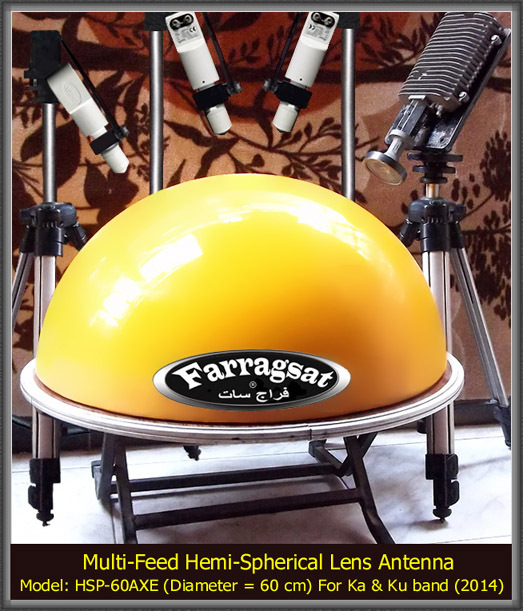 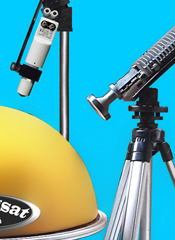 this type are very expensive & this type of feed are used specially for the Lens antennas like spherical & hemi-spherical Lens antennas because it. 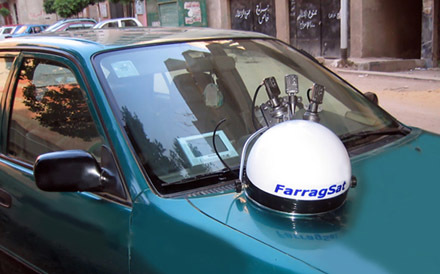 s more accurate to catch the signals & do you know what is the cost of this modification, it is only half a Euro or half a dollar then this is an another invention Cheap in cost . 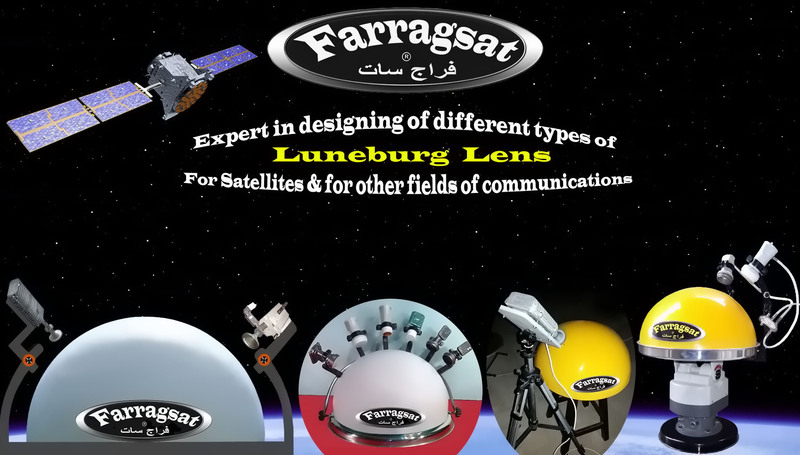 The Famous International French company " Lun`tech "
Luneberg lenses technology for both Military and Civil area . 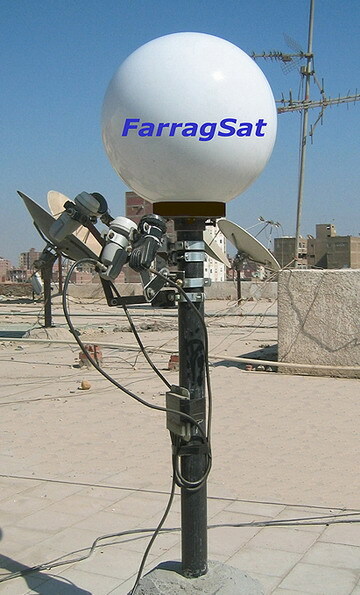 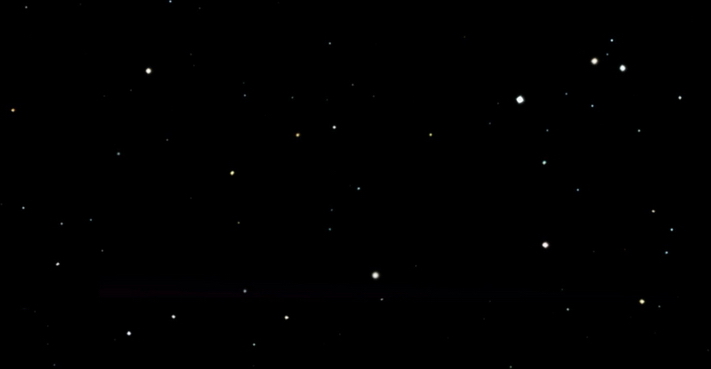 Her kind visit was to watch closely, all results of satellites reception, by my small antennas. 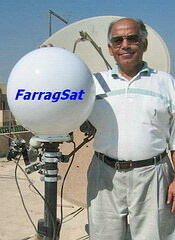 She was much impressed by the results of the testing of all antennas, which I created . 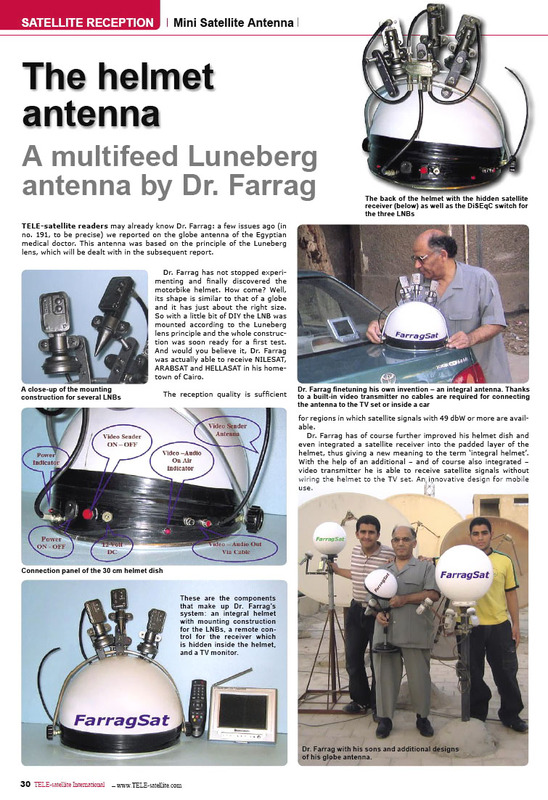 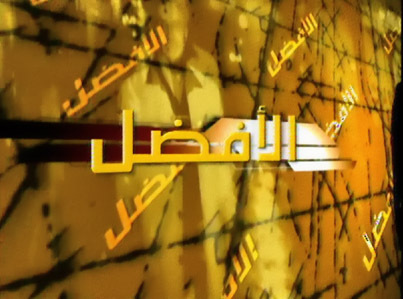 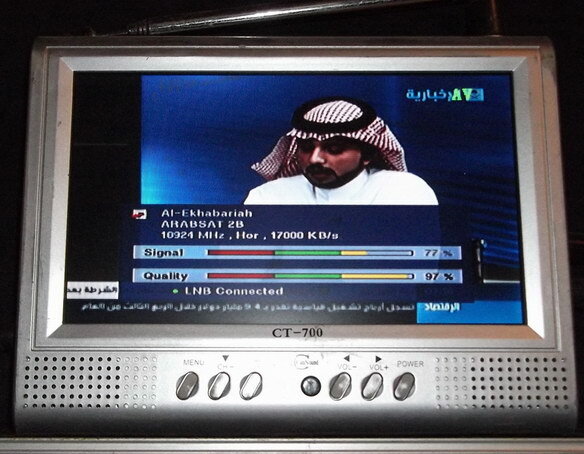 Photos of some of the French company's products " Lun`tech "
" TELE-satellite International Magazine "
Honoring " Dr. A.Farrag & his sons "
By the TV program " The Best "
Of the famous Egyptian broadcaster " Tarek Allam "
Also he is multi-feed antenna , be possible the reception from three satellites in the same time by directed the Antenna to specific direction & the reception be possible with the installed 3 LNB`s and possible also to install & use one LNB only & Direct the antenna to any satellite you want to watch it by an easy way. 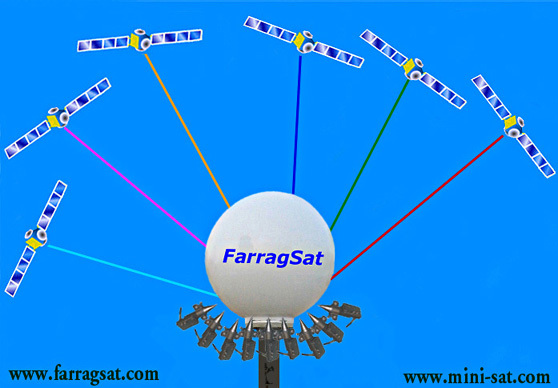 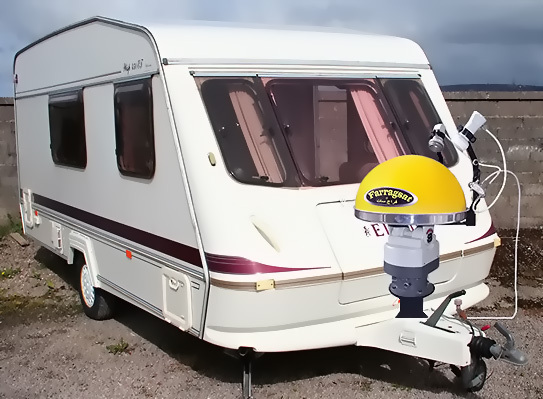 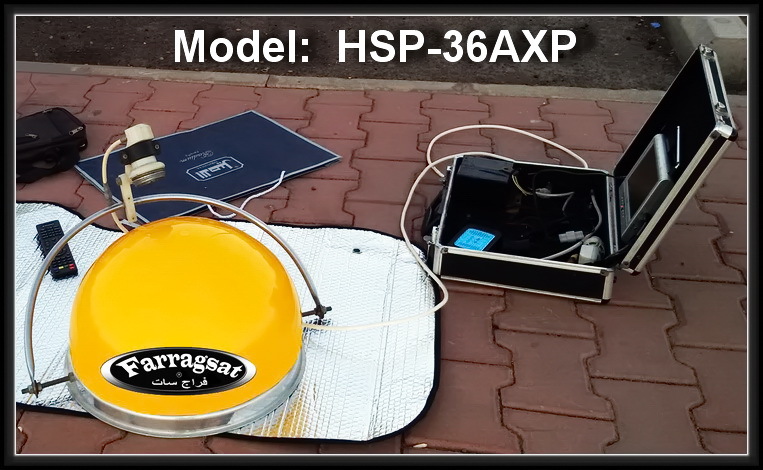 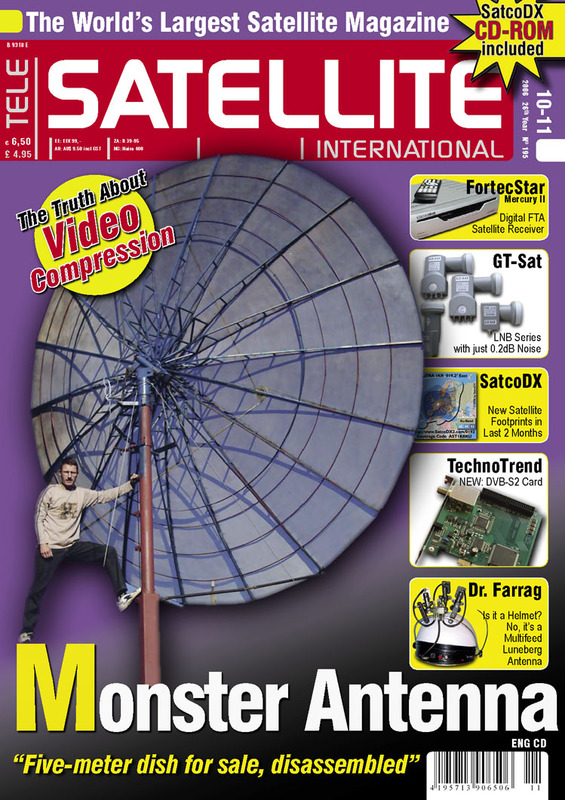 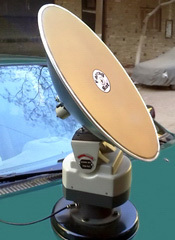 The new integral satellite Antenna could be carried easy by any private car or general car & no any relationship between it and the devices of the car only if wanted it to operate more than 3 hours and half needs power assistance from the lighter of the car, it works by 12 volt DC & by this method be possible to use him any number of hours you wants . 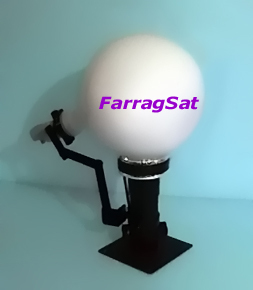 Or be possible also to use an external small reserve rechargeable battery 12 volt . 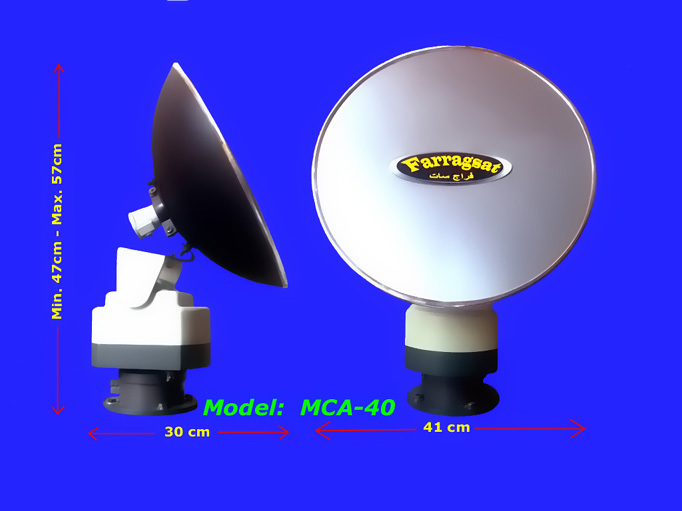 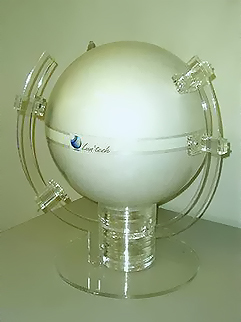 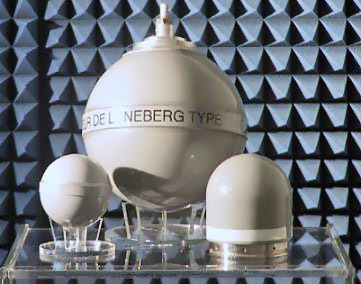 The new integral antenna are small in size it is 30 cm in diameter only and takes the shape of half- sphere or the form of Dome . 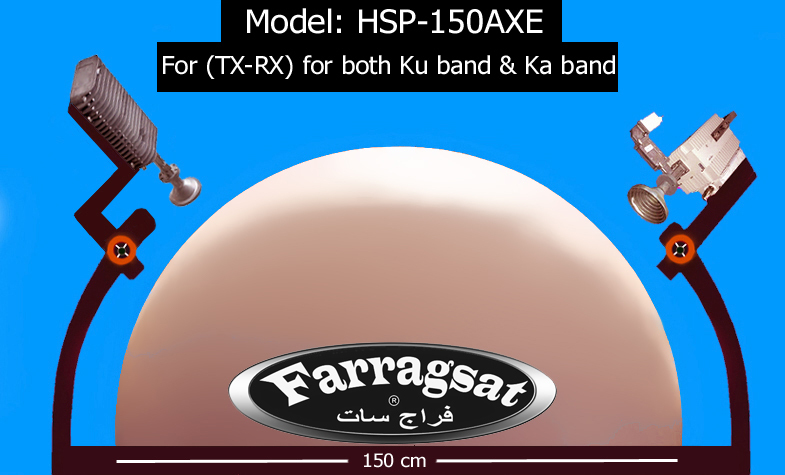 and he is weather resistant So does not shakes of winds, not affected by the rains & rust The performance of this integral antenna are distinguished & sensitive in reception and manufactured with extremely very low-cost . 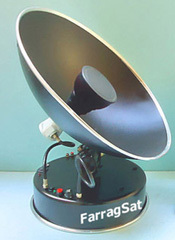 Also this lens antenna are manufactured and designed identical to a very advanced technology named the dielectric lenses technology or Luneberg lens technology for designing the satellite Antennas . 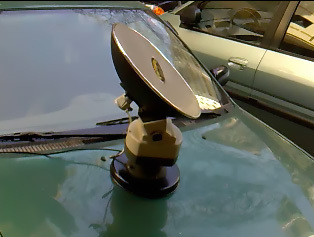 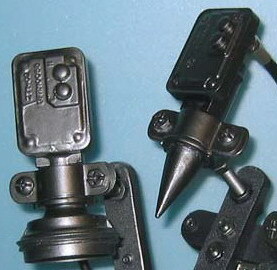 To use this antenna , make a parking with your car in any exposed place, make the backward of the car or the front of the car in the direction of the south through the use of a compass , comes out the antenna from the bag of the car & put it on the back of the car or on the front of the car & adjust it .s direction to catch the satellite signals with the help of a small TV beside the antenna in a few minutes because it is easy to be adjusted , take a seat inside your car or beside the car and enjoy your self with the digital TV & radio channels from satellites . 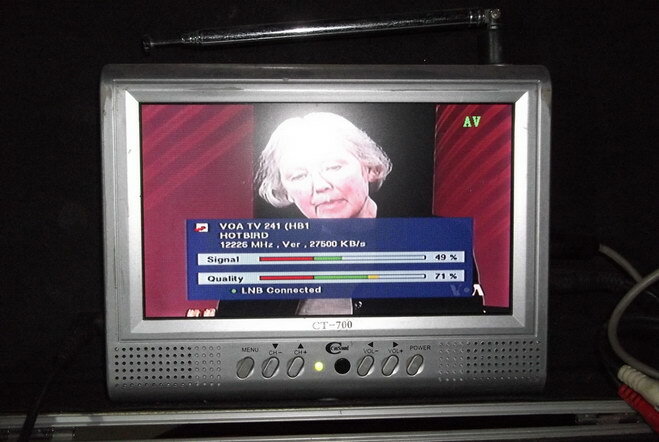 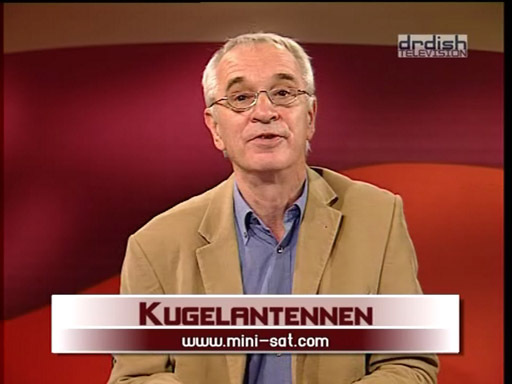 You can receive in any number of TV. 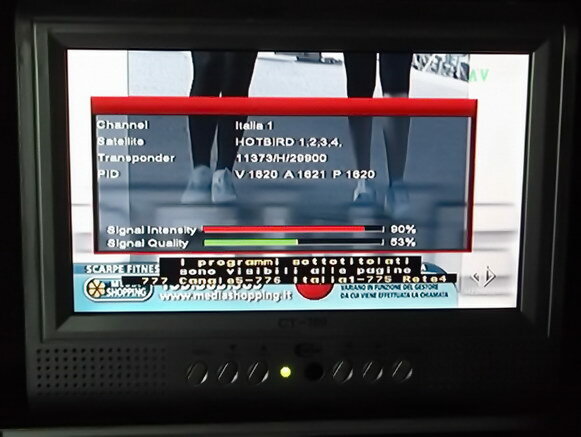 s because the system have video & audio sender . 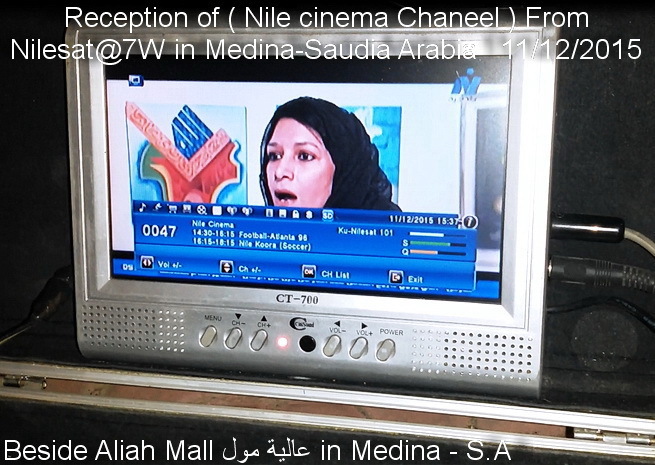 You can change to any channel from your seat by the remote control because it works wireless . 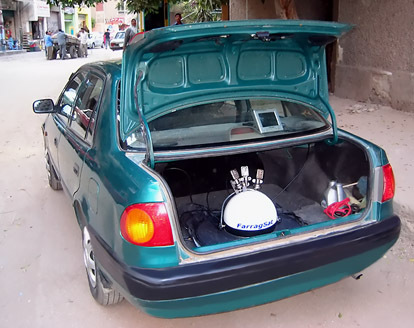 This portable system could be used in outside vacation , journey, camps , also in desert , it can serve too in fields of journalism , information fields , business & many other uses . 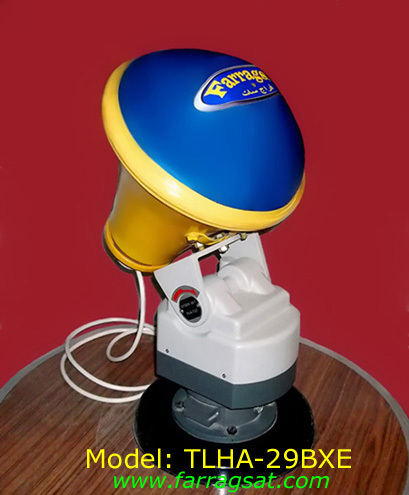 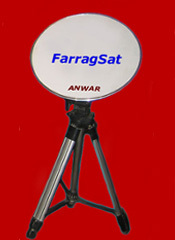 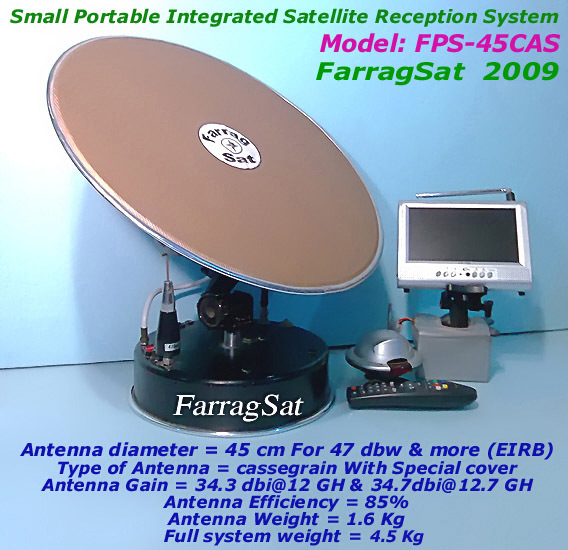 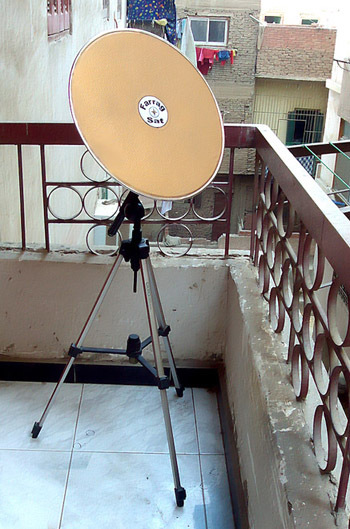 Other important use for this portable System , it could be joined with any Laptop to receive & download from Internet via satellites ( one direction ) in any place you are , just call & connect the internet from your mobile phone & download via your internet provider from Satellites by the help of my integral Antenna . 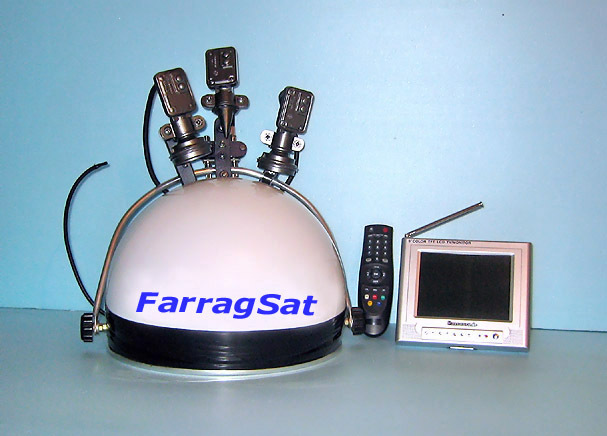 Also you can decrease this system to only a multi-feed antenna for the fixed use at home with the use of your preferred home receiver for open or scrambeled channels. 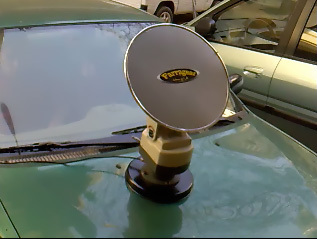 Also if you want to watch a scrambeled channels in outside it would be possible but you need to use another receiver with cam , it must work with 12 volt power , after fixing it inside your car , first you can direct the antenna & catch the satellite signals with the use of the internal receiver normally & then switch off the power of the internal receiver & connect the antenna with the other receiver inside the car via cable & use the external receiver with cam to watch any scrambeled channels you want inside your car. 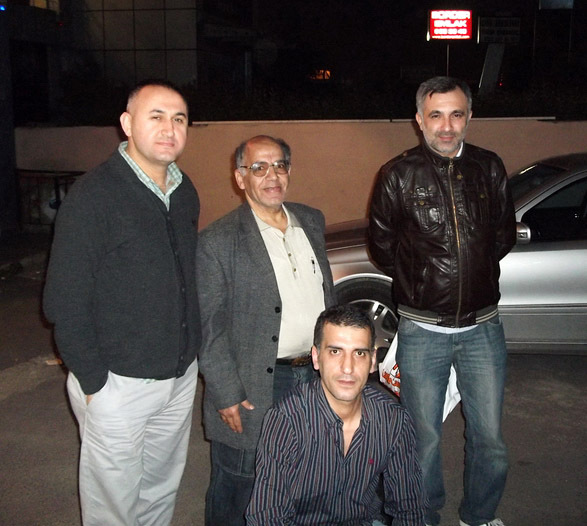 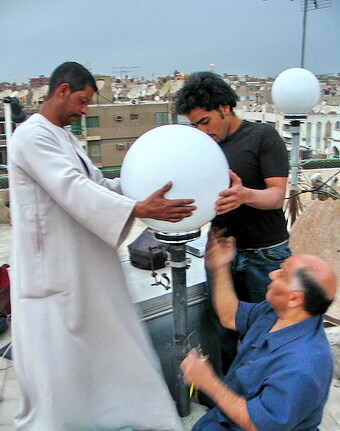 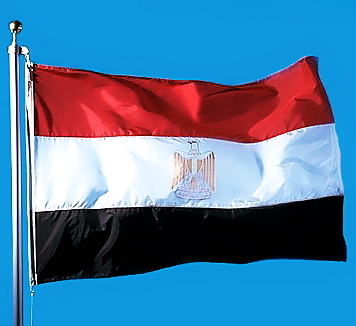 With complete success this integral Antenna received in Cairo the satellites of Nile-sat, Arabsat , Amos , Helasat. 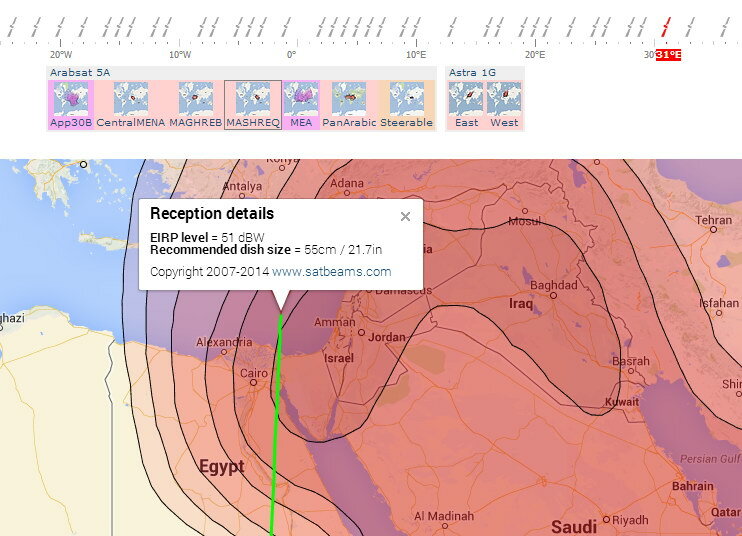 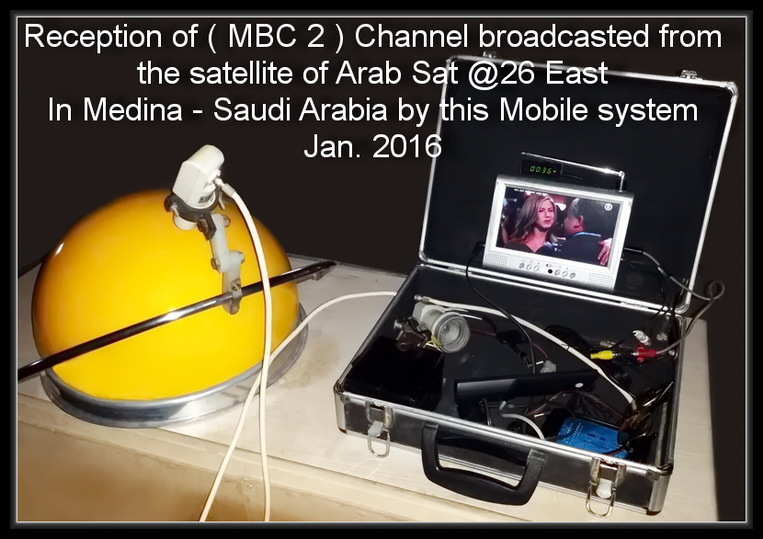 With complete success it received in the same time with 3 LNB.s the satellites of Nile-sat, Arabsat ,Helasat. 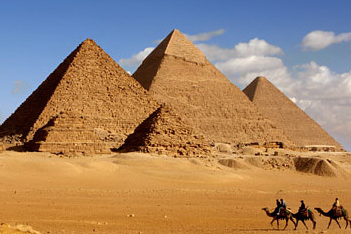 & have a limited income also .